Ventriloquism can be best described as the art of “throwing”, or projecting, one’s voice (ventriloquist) in a manner that makes the sound seem as if it is coming from a distance or a source other than the performer. This is most commonly achieved by using a puppeteered dummy to mimic the spoken words and sounds being emitted. It is a stagecraft that has long been part of the Western entertainment industry, the earliest recorded ventriloquists dating all the way back to the 1750’s. Ventriloquism is a popular form of entertainment which has managed to endure despite its seemingly simple deception, due to the unusual skill and tenacity of its proponents, the number of whom is growing steadily after its recent growth in popularity in the last decade. It is an art that has managed to preserve its mystique and proves to captivate still and fascinate audiences just as it did in its very early days. Growing cynicism has made the job of the modern performer exceedingly difficult, and anyone who engages in this art form must be an extensively trained performance artist who can engage and delight an audience with the charisma and personality that is expected of any comedic performer. 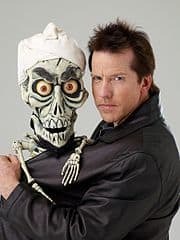 Here is a list of 7 talented ventriloquists who have proved that this long-sustaining art is not going to be lost in the shuffle of modern entertainment anytime soon and that even the more traditional forms of amusement can be adapted to modern humor to make performances better than they have ever been before. Terry Fator is a comedian, Las Vegas Headliner and impressionist from Dallas, Texas, who has mastered a purported 100 impressions and incorporates an astounding 16 different puppets into any one of his acts. He is most easily recognized as the winner of season two of the popular reality television series America’s Got Talent. Fator’s enduring success stems from his ability to combine singing and ventriloquism into his acts, and his performances are equal parts vocal as they are comedic. Paul Zerdin hails from Wimbledon, England, and is the winner of the 10th season of America’s Got Talent, and one of the world’s most famous performers. His commanding stage presence and pop star good looks have a knack for captivating audiences of all ages. The sharp-tongued, sometimes nasty attitudes of his puppets are perfectly balanced by Zerdin’s expressive and well-meaning demeanor, creating a dynamic that is purely audience-gratifying. offended. His style of observational humor and dark comedy has captivated audiences from every walk of life, making him the world’s premier ventriloquist. ventriloquism skills and excellent material make him a hit with every audience he performs in front of. performed on such shows as “The Arsenio Hall Show” and “After Hours”. The nationally-known artist has been known to involve audience members in his act and can weave and adapt his performances to provide a unique live experience to every audience. Todd Oliver is a 35-year comedy veteran from Kansas City, Missouri who was featured on Season 7 of America’s Got Talent and amazed national television audiences by incorporating his living dog, Irving, into his act. He is an avid animal lover, and his humor often revolves around dogs and other household pets. His act is the perfect performance for anyone who is a fan of both comedy and man’s best friend. Michael Harrison is an extraordinarily talented impressionist who has performed alongside numerous acts including “The Muppets” and “Boyz to Men”. His mastery of puppetry and impeccable comedic timing have allowed him to adapt his shows for all audiences. He was featured in Season 3 of America’s Got Talent and has been wowing audiences across the nation ever since. past-time for people from a variety of backward. The demand for this unique performance art has never been greater, and the fervor for these artists across the continents shows no signs of settling down anytime soon. These seven ventriloquists are paving the way for the future of entertainment and have ushered in an era for this stagecraft unlike any other.